Call Megan at 828-356-2272 to ask about our next Diabetes Prevention class. If you're a provider, please fax referral forms to 828-356-1115. This group meets at the Health and Human Services Agency in HHSA room 102. Meetings are held from 2-3:30 p.m. on the second Thursday of each month. 2019: April 10, May 8, June 12, August 14, September 11, October 9, November 14. This group meets at the Health and Human Services Agency in HHSA room 102. Meetings are held from 12:30-2 p.m. on the second Thursday of each month. 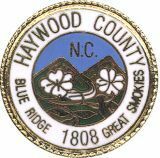 Haywood County's 2015 Community Health Assessment and 2016 Community Health Improvement Plan and 2017 State of the County Health Report can be found in the following places: the ''about us'' section of this website, each Haywood County Public Library and the front desk of Haywood County Health and Human Services (HCHHSA). Want TO BE on a monthly e-mail list? receive health "Tips and Opps"
Haywood County Health and Human Services Agency does not discriminate based on age, race, color, religion, or national origin.